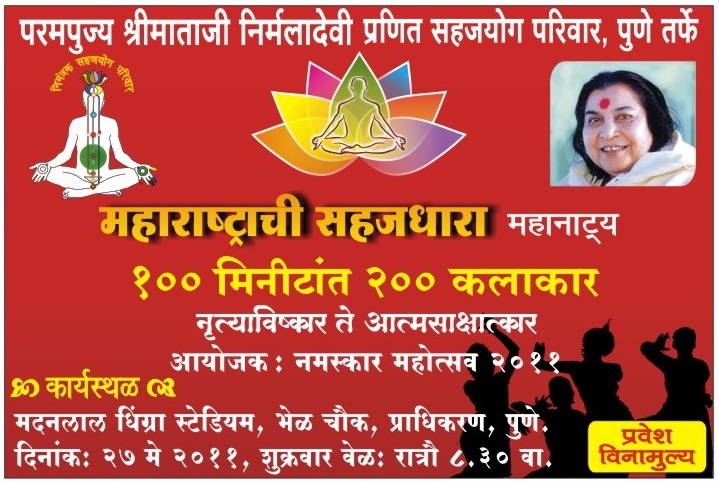 Pune Collectivity is pleased to announce the Prachar Event : SAHAJDHARA MAHANATYA on 27th May 2011 [Friday] at 8:30pm. 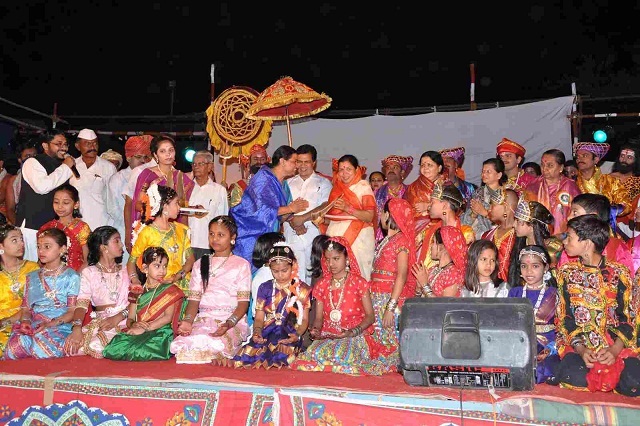 Namaskar Mahotsav-2011 is the organiser of this event. This Mahotsav will be starting on 27th May and will conclude on 1st June. By now we had organized it’s 5 shows. On 13th Oct 2010, it was organized in Pimpari. 1500 people got self-realisation. On 29th Dec 2010, it was organized in Alibaug & 2000+people got self-realisation. On 16th January 2011, it was organized in Nashik & 3500 people got self-realisation. On 6th Feb 2011, it was organized in Shrirampur with the support of Nagarparishad and 8000+ people got self-realisation. Recently, we had organized in Sangamner on 24th April 2011 and 11000+ people got self-realisation. It has been found that art n culture is good platform for mass acceptance and giving self realisation to people.